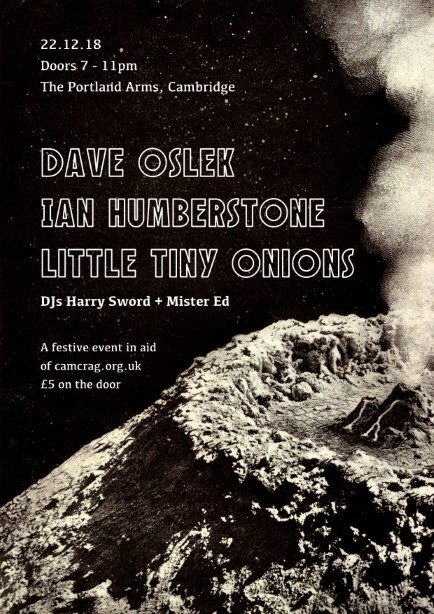 Xmas charity gig/disco for the good folk of Cambridge on the Saturday before Christmas, to raise money for local refugee charity, CamCRAG (camcrag.org.uk/) to support the essential work they do supporting refugees in Europe. Last year we raised £256, we hope to beat that this year if possible so please come, have fun, and give what you can. Live bands, live electronic music, great DJs, good times, good cause.